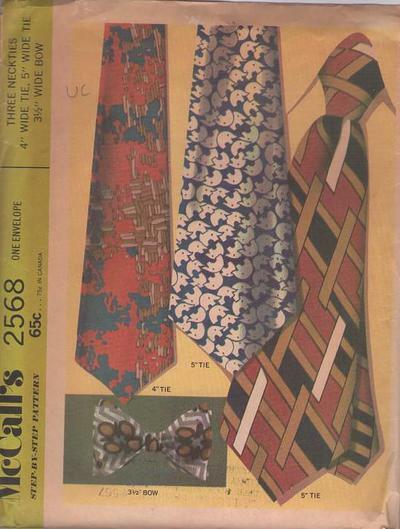 1970, 70s Menswear, Retro Accessory Clothing Patterns - Tie measurements (4" Standard and 5", Wide) are taken at widest part. Ties have contrast linings and lightweight hair canvas interlinings. 31/2" Bow is faced with self fabric and interlined with fine cotton. Bow pattern is marked for 14", 15", 16", 17" or 17.5" neck sizes.